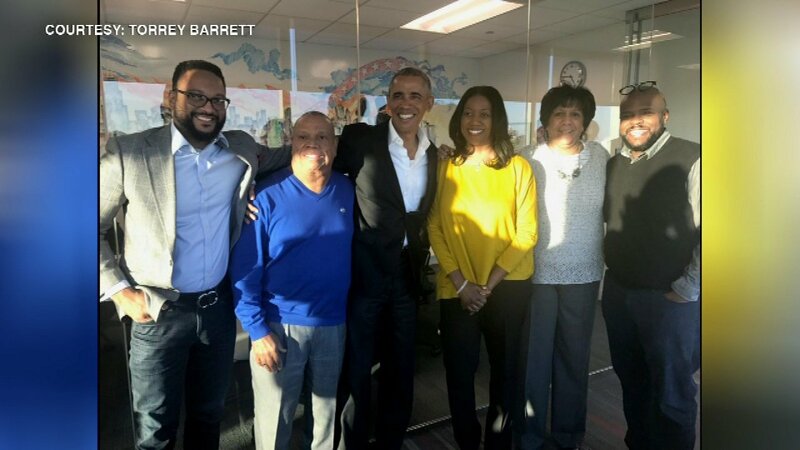 CHICAGO (WLS) -- Former President Barack Obama returned to Chicago for the first time since leaving office. Eyewitness News has learned that he arrived Wednesday afternoon to attend a meeting related to his foundation and presidential library. While initially it was thought he would leave the same day, Obama is instead staying the night. The former first lady did not travel with him. After leaving office, the Obamas vacationed in California and the Caribbean.